Over 60 million dollars has been spent to make The Westin Bonaventure Hotel and Suites one of the premier properties in Los Angeles, including a complete transformation of L.A. Prime, the hotel�s signature steakhouse restaurant located on the thirty-fifth floor, which offers panoramic views of the City of Los Angeles along with the stellar culinary talents of Executive Chef Andreas Nieto and his team. This dining room by night becomes a romantic venue where diners may fall in love with LA while listening to Frank Sinatra and Sammy Davis favorites. One of the signature before dinner martinis was created by thirty-one year career hotel employee Mark Zaba. 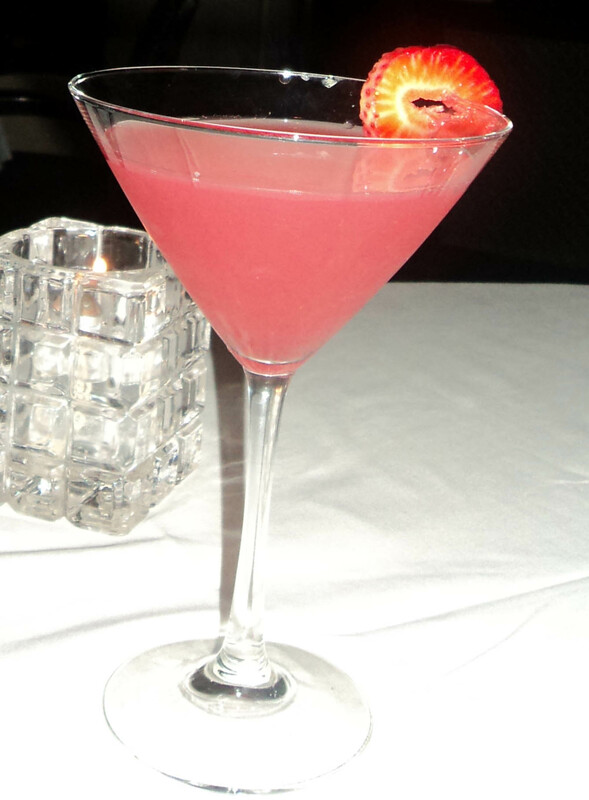 His signature Zaba Martini blends stoli strasberi, fresh strawberry puree, triple sec, and simple syrup. They also offer a martini with historic local flavor called the Olvera Street Martini made with Milagro Anejo Tequila, fresh blood orange juice, cointreau and a squeeze of lemon. The Chefs menu at L.A. Prime is filled with outstanding meat, including Chicago Stockyard beef, fresh seafood, and free-range chicken accompanied by specialties like frutti di mare, classic risotto, roasted red and golden beet salad, jumbo asparagus with hollandaise parmesan gratin and many more. The wine selection is outstanding. They offer many fine wines by the glass and the sommelier will be happy to assist you in pairing wines with your dishes. 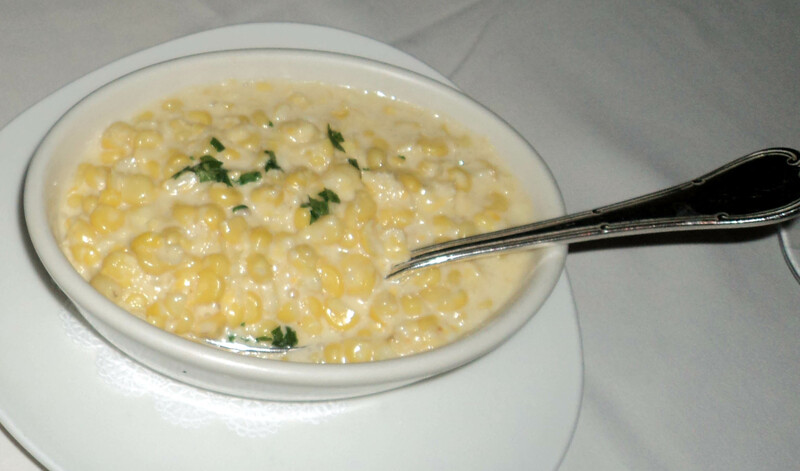 As a native Chicagoan, I was delighted with my prepared to perfection Chicago Stockyard steak paired with a poached lobster tail �thermador style� and served with a side of outstanding cr�me corn off the cob. However, for warned is for armed and the L.A. Prime menu offers a real challenge to gourmands because Nieto�s dishes are a milieu of divinely prepared options that are nostalgia favorites found on the �bucket list� of every fine food aficionado�s. 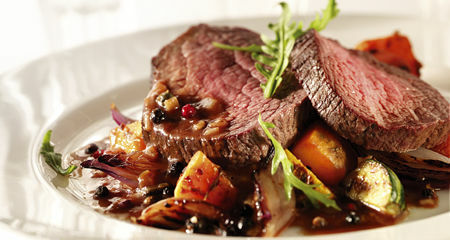 The steak au poivre is made with natural Brandt Beef from a ranch in Southern California; it is prepared with black and pink peppercorns, and deglazed with brandy. Pork chop and short rib lovers will find these favorites uniquely prepared on Chef Nieto�s menu as well, saut�ed scampi, Provencal striped bass, seared king salmon, Chilean sea bass, and hand made citrus tagliatelli, a garlic saut�ed crayfish with sweet white corn and chervil also reign supreme. The appetizers to be savored include escargot in shell, baked oysters Rockefeller, prime beef tenderloin tartare or the signature seafood platter of half Maine lobster, pacific prawns, lump crabmeat serve d with the days oyster and crab selection. Where there is a fantastic steak entr�e you expect spectacular side dishes, and the potato gratin, saut�ed trio of market mushrooms or crispy crust baked potato with white cheddar, pancetta, cr�me friache and chives all fill the bill. Chef Andreas has dedicated his career to the art of culinary techniques and hospitality growth, and he is a third generation chef who began his journey at age fourteen working with his father and family. Andreas completed a 3 year classical French culinary apprenticeship program and has held impressive positions with some of the most prestigious restaurants and hotels in America. 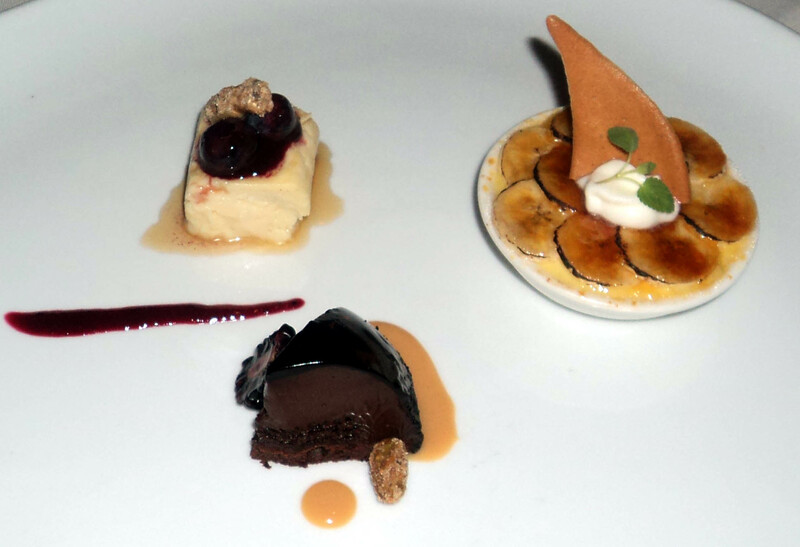 Needless to say he is a star in every aspect of food preparartion and presenation, including exceptional desserts. His cirriculum vitae includes working for the Loews Hotels, the five star Beverly Hills Hotel and Bungalows, St Regis hotels, Bel Age Hotel and the Century Plaza Hotel and Spa. Chef Andreas has received numerous awards, such as: The Life Time Achievement Award by the Le Toque Blanches International, The James Beard award, currently serves as President of the Professional chefs association of California, The Escoffier Society Award, California Restaurant writers chef of the year 2002. 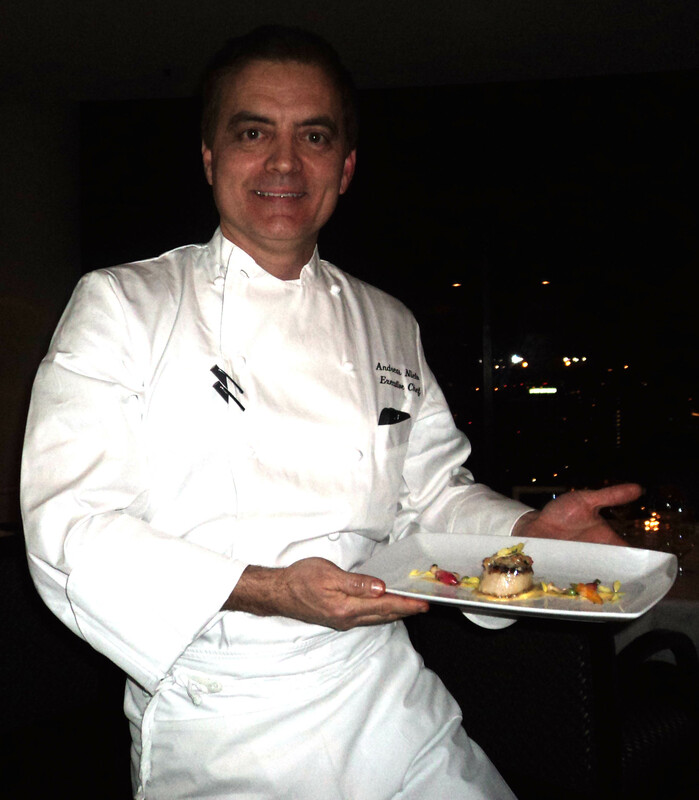 In 2004 Chef Andreas Nieto received the highest honor award that can be bestowed upon an Executive Chef. He also received the 5 Star Diamond Award by the American Academy of Hospitality Sciences, recognizing him as one of the best chefs in the world. This is the most prestigious award to be given in the hotel and restaurant industry. 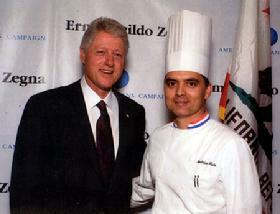 During his career he has cooked for the past four presidents of the United States including, George Bush Sr, George W. Bush, Barack Obama and Bill Clinton. 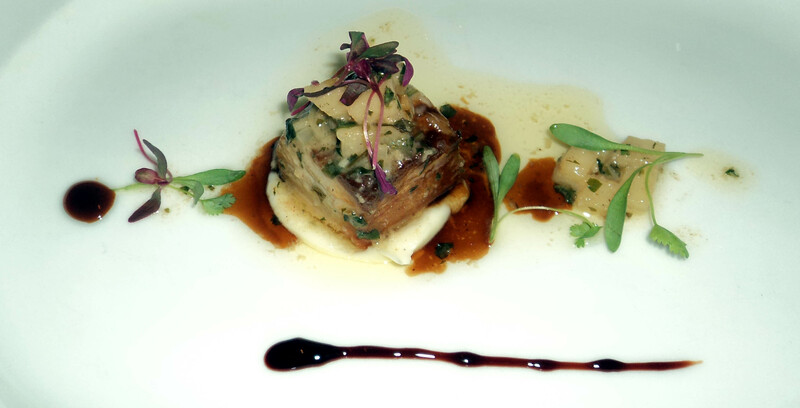 Chef Andreas has also cooked for the Emmy Awards in both 2003 and 2011. He participates as a guest chef for many charities such as Race to Erase MS, Special Olympics yearly fundraiser at Santa Monica Pier and The Ronald McDonald House charity event in Los Angeles California. The Westin Bonaventure Hotel offers everything business or vacationing guests could possibly need or want, including 1,354 guest rooms and suites with heavenly beds, bath amenities, state-of-the-art internet, fast and efficient elevators with great views, a variety of eating destinations, a 45,000 square foot Plaza Pool Deck with a new microbrewery, ADA accessibility in new guest rooms and throughout the hotel, indoor jogging track and exercise equipment, and convenient transportation throughout the city. In 2009 the Westin Bonaventure received the Green Seal Silver Certification for successfully completing rigorous criteria for lodging properties set forth by the organization. Their green lodging program is an important part of the City of Los Angeles Green initiative. The Dash offers shuttle service from The Westin Bonaventure Hotel to anywhere in the downtown area, including the wholesale Garment District, discount jewelry center, Exposition park, Los Angeles Coliseum, Los Angeles Convention Center, LA Live (Staples Center, Nokia Theatre), Little Tokyo, Dodger Stadium, Macy�s Plaza, Olvera Street, Grand Central Market, Angels� Flight, the Toy District and more. The MetroRail will take guests as far north as Hollywood and Universal Studios or south to Long Beach and Redondo Beach. Westin Bonaventure�s central location offers an opportunity to walk to all attraction within a minimum of 10 minutes. In a heavy sauce pan over high heat, combine wine, chicken broth and beef broth. Bring to a boil, and cook until mixture is reduced to 2 cups, about an hour. (This can be prepared a day ahead - cover and refrigerate). In a small bowl, mix butter and flour. Heat 1 tablespoon olive oil in a large skillet over medium heat. Sprinkle steaks with salt and pepper, and saut� until medium-rare, about 4 minutes per side. Transfer steaks to a plate. Stir shallots, garlic and thyme into skillet. Add 2 cups reduced wine mixture to skillet. Bring mixture to a boil, scraping up any browned bits. Whisk in butter mixture until smooth. Boil sauce until thick enough to coat a spoon, about 2 to 3 minutes.